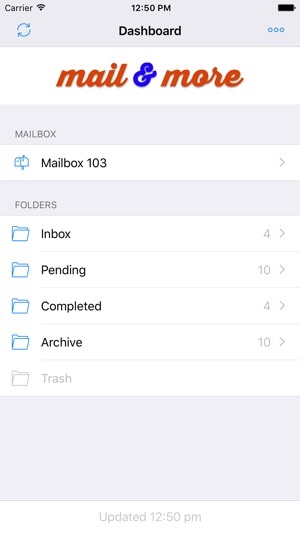 Anytime Mailbox allows you to manage your postal mail, anytime anywhere. 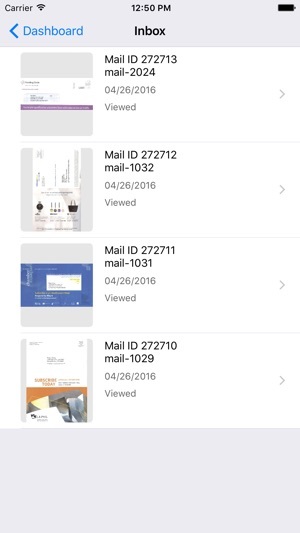 Check your mail on your smartphone with a digital mailbox today at any of our partner locations. As much as our lives have moved online and mobile, some mail has to be sent the old-fashioned way to you or your business. Why not give them a unique street address in a location of your choosing, then be notified on your smartphone? Some call it a digital mailbox or a virtual mailbox, we call it the only way to go. Whether you're looking to set up a new business address or want a permanent mailing address in a particular US city. Set-up a virtual mailbox with one of our operators and eliminate the need to check your traditional mailbox, brave traffic, weather and paper cuts. 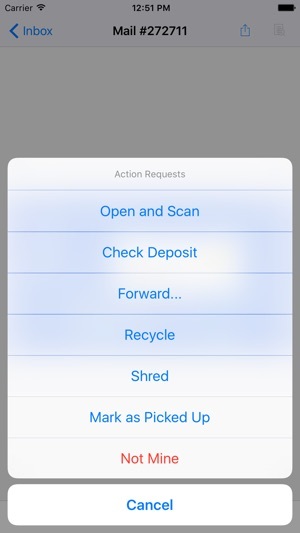 Just use our app, and we'll scan that letter, forward that package or recycle the junk. 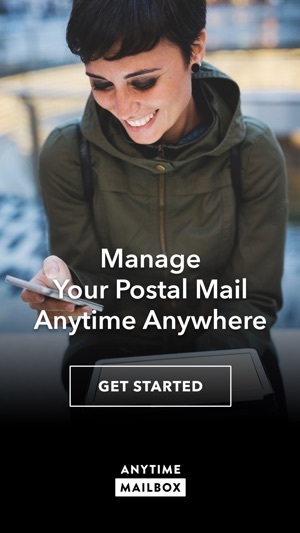 Anytime Mailbox offers you the best experience for managing your postal mail and package services on the go. We offer locations in major metropolitan areas such as: Atlanta, Austin, Boston, Chicago, Denver, Las Vegas, Los Angeles, Miami, Nashville, New Orleans, New York, Orlando, Philadelphia, Portland (OR), San Diego, San Francisco, Santa Monica, Seattle, Washington (DC), and many more. For a complete list of sites visit our website at www.anytimemailbox.com. Fixed: Added validation for renters without Forwarding Addresses that request for Forwarding of mail. This app could be made so much more convenient by adding the ability to add forwarding addresses. Right now you have to add them on a computer only. Also why can’t I select multiple pieces of mail at once to ship? Right now I have to select each one individually and go through the same forwarding options for each piece of mail. 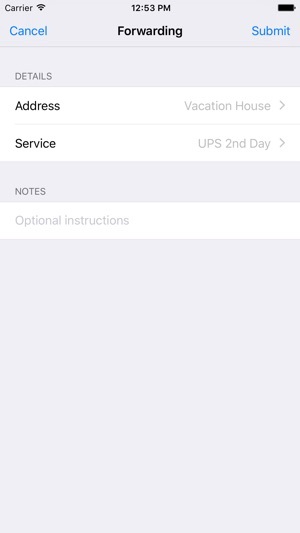 Also, on selecting how to mail it - it would be great to list an approximate cost next to USPS, UPS options etc. please add these upgrades as it will greatly help those who travel a lot and only have their phones. This has been a good tool. If this was around a few years ago it would have saved me so many trips to the local mailbox to clear things out.